Internet Essentials vs Internet Basics - what's the difference? Both Internet Basics and Internet Essentials are $9.95. But eligibility differs. Many readers ask us what the difference is between the two primary low-income cheap internet programs, Internet Basics and Internet Essentials. They can be confusingly similar since they both deliver high-speed broadband internet, either via DSL or cable, for a dirt cheap price. But, even though they both offer their plans to those who can least afford it, the eligibility requirements are completely different. First, the similarities: Both programs are only $9.95 per month. Considering broadband internet is usually about forty to sixty dollars a month, it’s a heck of a bargain, and a dream come true for so many who cannot afford what has become a necessity these days. But that’s not all. Both programs give you the option of buying an internet-ready personal computer for just $150. That, too, is considerably less expensive than you’ll find anywhere else. But wait, there’s more. You’ll also get training, either on the internet or in person at any one of over a hundred training centers in communities around the United States. Now, let’s dig deeper for the differences. The Internet Basics program was created by telecommunications giant CenturyLink, and is targeted to eligible Americans based on their financial situation. The plan offers a DSL broadband connection running at 1.5 MBPS at $9.95 per month, plus taxes and fees, for the first 12 months. After one year, the price goes to $14.95 per month; still a bargain. Be careful of the early termination fee which can be up to $200, depending upon how early in your minimum service period you cancel. As we said, both programs offer a discount-priced computer. With Internet Basics, for $150, plus tax, shipping and handling, you’ll get a new, Internet-ready network computer. 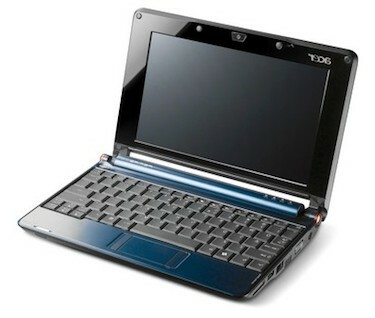 A netbook computer is a small laptop computer that is primarily designed to access internet applications. you are eligible if you are on at least one of the major government assistance programs, such as food stamps (SNAP), Medicaid, SSI, public housing assistance, Section 8 housing, National School Lunch, some energy programs and various state-specific programs (detailed on their website). you are eligible if you if you can show that your income is under a certain level, which depending upon the state in which you live, is less than either 135% or 150% of the Federal Poverty Guidelines. Internet Basics is available in Alabama, Arizona, Arkansas, California, Colorado, Florida, Georgia, Idaho, Illinois, Indiana, Iowa, Kansas, Louisiana, Michigan, Minnesota, Missouri, Mississippi, Montana, Nebraska, New Jersey, New Mexico, Nevada, North Carolina, North Dakota, Ohio, Oklahoma, Oregon, Pennsylvania, South Carolina, South Dakota, Tennessee, Texas, Utah, Virginia, Washington, Wisconsin, and Wyoming. The Internet Essentials program was created by Comcast, the national communications company, and it is designed to help kids in struggling families get online so they can do their schoolwork and better prepare themselves in this competitive world. As opposed to Internet Basics’ DSL, Internet Essentials gives you broadband internet through cable, at speeds between 1.5 – 3.0 MBPS. The cost is also $9.95 a month, plus tax, but unlike Internet Basics, there is no wording about the cost rising after the first year. The $150 computer Internet Basics offers is a refurbished laptop, loaded with Office 2007 and Norton antivirus software. The Internet Essentials program eligibility is very specific and there is only one requirement: you must have one child living in your household that is eligible to receive a reduced or free school lunch through the National School Lunch Program. Since this school lunch program is based on the income of the child’s household income, any child in a low-income family should be able to qualify. Internet Essentials does not have a specific list of states on their website, but they say it is available in those that have Comcast Cable service. Call them to check on your own area, but we show they are in the Comcast states: Alabama, Arkansas, Arizona, California, Colorado, Connecticut, Delaware, Florida, Georgia, Idaho, Illinois, Kansas, Kentucky, Louisiana, Massachusetts, Maryland, Maine, Missouri, Mississippi, Minnesota, Michigan, New Mexico, New Hampshire, New Jersey, New York, North Carolina, Ohio, Oregon, Pennsylvania, South Carolina, Tennessee, Texas, Utah, Virginia, Washington, Wisconsin and the District of Columbia (DC). Both programs come with a critical caveat. You cannot currently be, or have been in the last 90 days, a customer of the internet company to which you are applying. That means that if you are applying for Internet Basics, you cannot have been a CenturyLink DSL customer in the last 90 days; if you are applying for Internet Essentials, you cannot have been a Comcast Cable customer in the last 90 days. We’re sorry to report that this hits quite a few applicants. In addition — and this is understandable — you cannot have any outstanding bills to the company, nor can you have any unreturned equipment. You can contact both Internet Basics and Internet Essentials through their web page or by phone. There are no maps to check to see if either serves your location, so you’ll have to check with them. If you qualify for both, contact both. If you are lucky, you will have a choice and will be able to pick the company whose service and terms best match your needs. For more information on Internet Basics, go here.
. Wat recourse do I have ? Call your chosen service provider’s customer service team to find out if there is any way that you are eligible. Why did my bill go from $10. A month to $140.? We are neither Internet Basics nor Internet Essentials, Justin, so there’s no possible way for us to know. Check with your service provider. I live in a different State but my daughter and her children are on SNAP and both children are on the free lunch program. She works at a minimum wage job as it is and can barely keep essentials. Am I able to pay for her Internet basics or Internet essentials in order for her children to be on the Internet? Instead of her paying for it? We’ve never been asked that question before, Debra, and we don’t have a definitive answer. However, common sense tells us that after your daughter enrolls, the company won’t care who pays for the service. But the only way to make sure is to speak to customer service. Internet service that I want is so confusing. I wish they could make it easier I’m totally lost and trying to find basic internet service for low-income and Medicaid third I receive. Please help. We agree with you 100%, Christine. Don’t take this kind of treatment. Contact the company again and ask to speak to a supervisor.